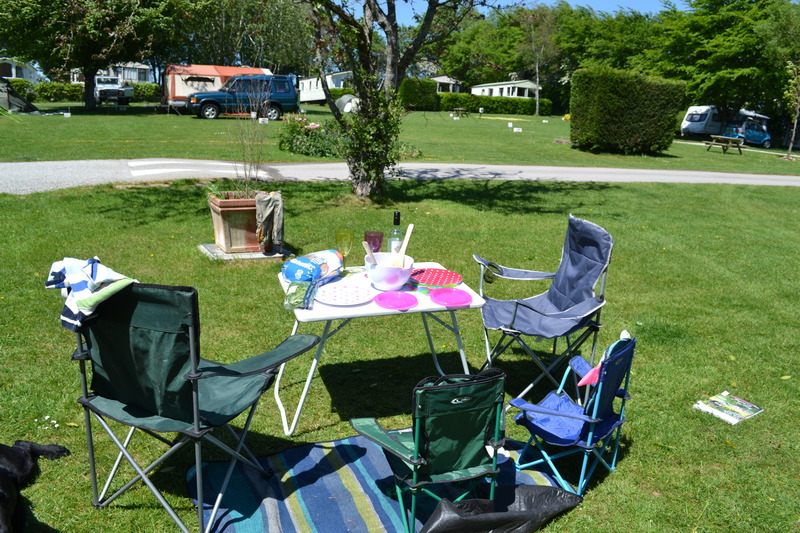 We have a colourful history with camping trips. In the 10 years Andy and I have been together, we’ve not once had a camping trip which hasn’t seen some kind of drama. We’ve had floods, breakdowns on the way home (resulting in us sleeping in the car), flat car batteries (resulting in us sleeping in the car on a racecourse. 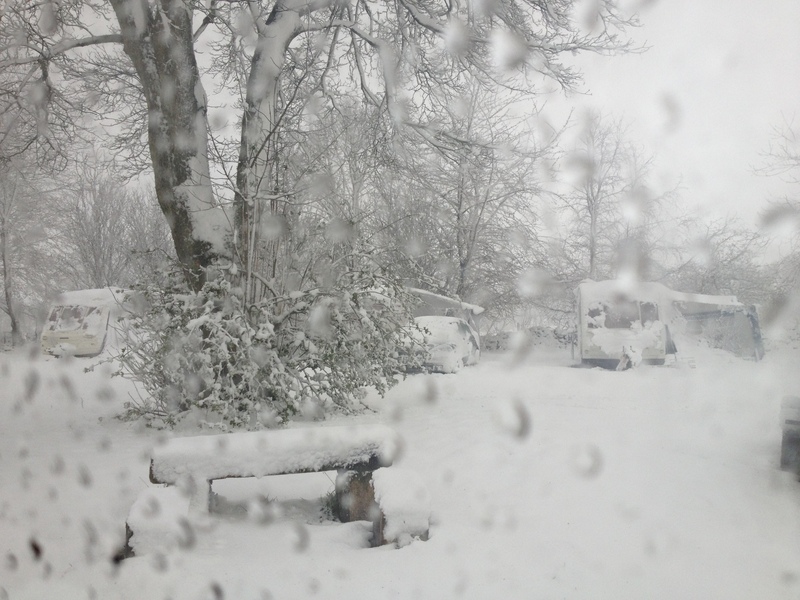 Yes, really) snowstorms, God awful campsites, illness, stir-crazy toddlers. You name it, it’s probably happened to us. 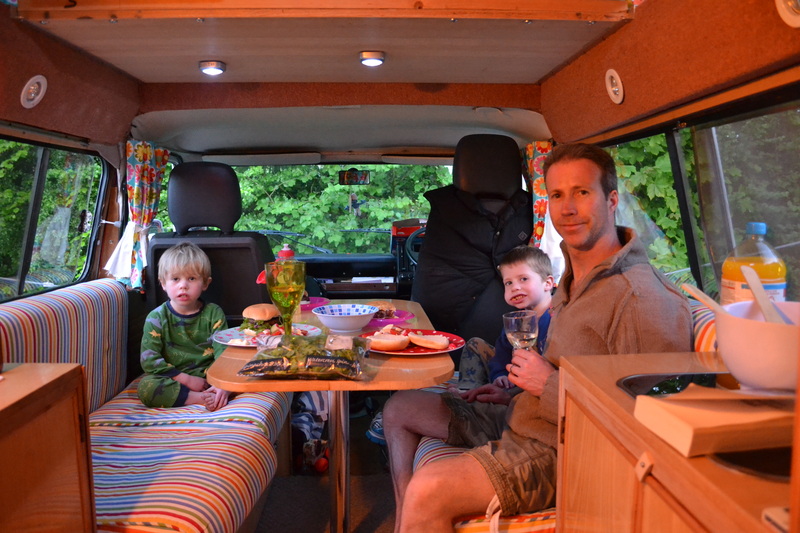 So, we thought we’d make our lives a bit easier, and more comfortable, and buy a campervan. We sold our second car and used the proceeds to buy Bertie, a 1982 Bedford camper. 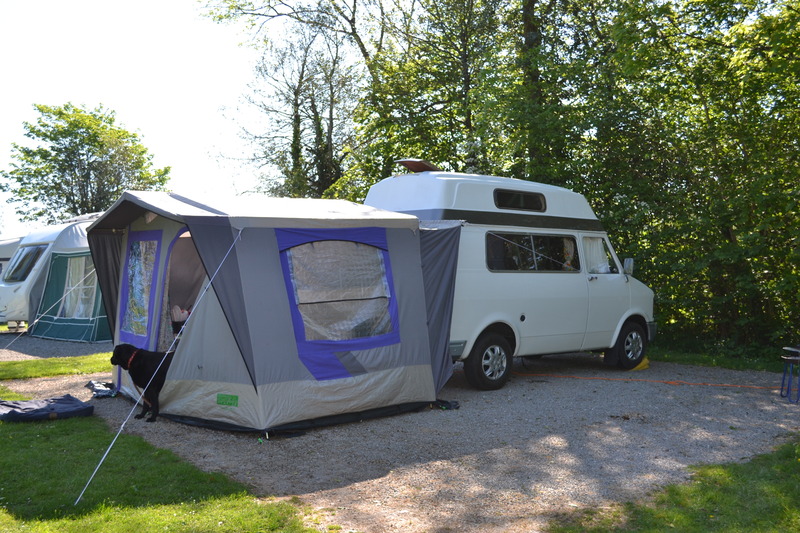 After a few more disastrous trips under our belt, the final straw came at Easter when we found ourselves on a campsite (read: in the middle of a field) with no working showers, filthy toilets and no facilities bar the aforementioned ‘amenities’. Smelly grown-ups, bored kids. On the day we were due to come home the county saw the worst snow it had in a number of years. Stranded, unable to leave with no food or clean clothes I’d fallen out of love with camping and was set to sell Bertie. Except I wasn’t quite ready to give up that easily so a few weeks back we booked one final make-or-break trip. 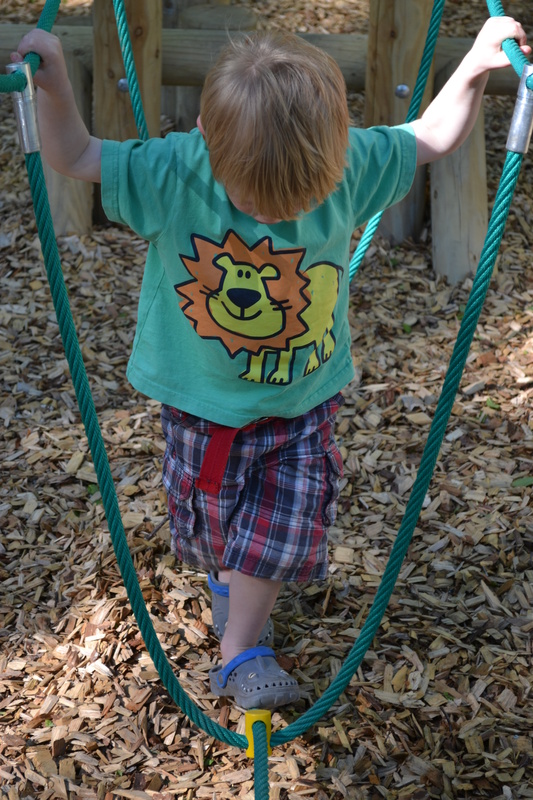 The rules: I book the campsite, We don’t travel too far and it must have facilities for the children. So I found a gem of a site in Devon and off we went. It was fabulous. The sun (remember that?) shining helped and the campsite was superb. I was just at the end of my illness and Max was still not 100% so we decided on a weekend of Doing Nothing. No day trips, no sightseeing (my Dad lives in Devon so we have plenty of chances for that) just spending time together and relaxing. 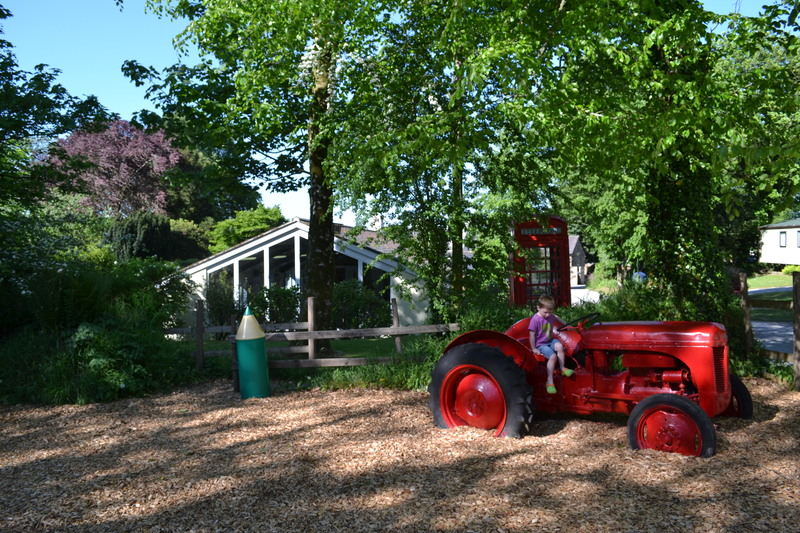 In the broadest sense of the word, with 2 pre-schoolers around. Tell you what, I’m booking all the campsites in future. 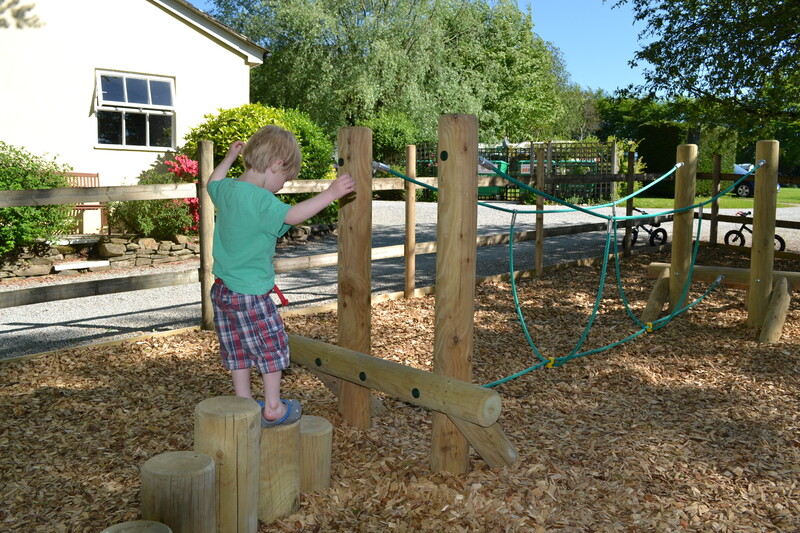 Wi-fi, freshly baked bread, an indoor pool, adventure play for the kids and an OFF LICENCE. Amaze. We played, we swam, we ate, we read and, er, watched DVDs. The boys aren’t ones for sitting colouring, crafting or reading (yet). To little, too much energy. The trick, we’ve discovered, is to go somewhere where there’s plenty to keep them occupied. Happy kids = relaxed parents, yes? They spent the entire break running around, playing, making up games, pretending to be puppies and having a ball. I’m already looking forward to our next trip. 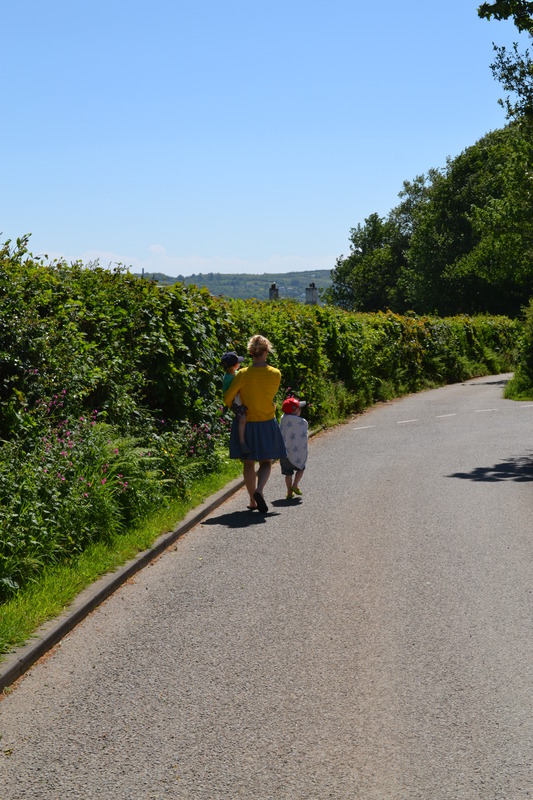 Posted in Bertie, Family, Holidays and tagged campervan, camping, devon, woodovis. Bookmark the permalink. No, not my wedding dress, silly. I’m not planning on doing that again. 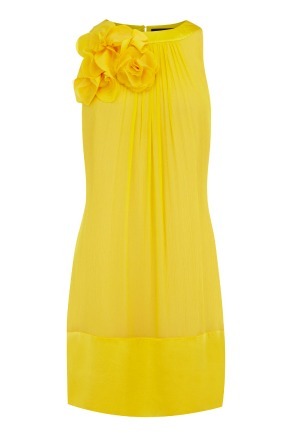 No, this is for by brother’s wedding in July. He’s getting married in Barcelona and I’m beside myself with excitement for many reasons. The first, and most obvious is that I get to see my big brother marry a truly lovely girl who makes him very happy. Also, we get to have a holiday (yay!) if the darned passport comes through in time. Lets not talk about the passport. 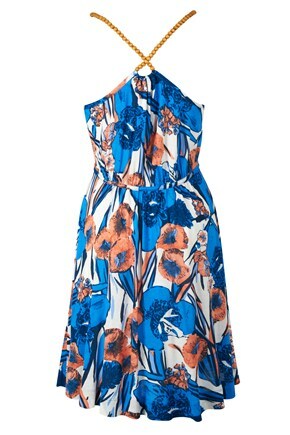 Posted in Holidays, Lust List and tagged coast, dresses, french connection, Oasis, spanish wedding, summer wedding. Bookmark the permalink. I have a nemesis. 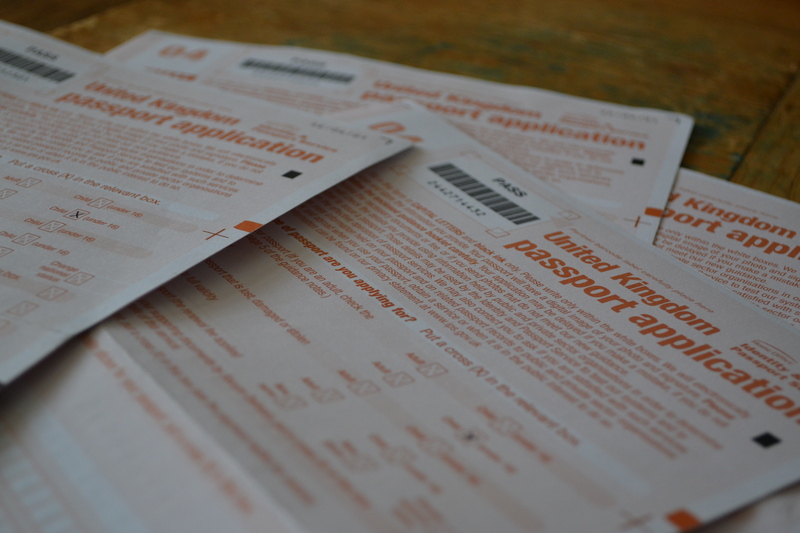 The passport application form. It should be simple. Fill out the form, send it off with a cute photo and bosh! New passport for your kid. IT’S NOT THAT SIMPLE. On the first form my countersignatory signed just outside the box. JUST. Like, less than a millimetre. apparently seeing someone’s teeth is a no-no too. 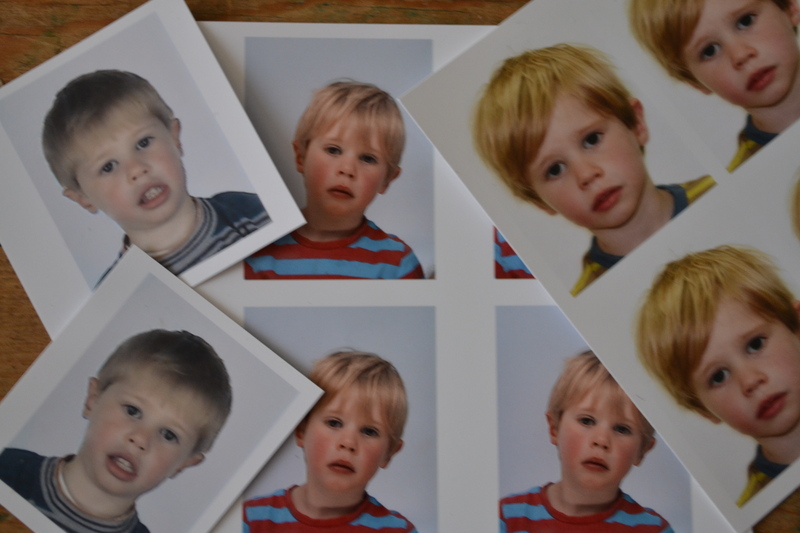 Anyone tried getting a passport photo for a two-year-old? Getting this kid to sit still (on my shoulder incidentally, with my arse sticking out of the photo booth) is hard enough without having to worry about his eyes being level with the line, head straight, looking forward, neutral expression. Talk about ridiculous, jeez. What’s he gonna do, hide a bomb in his nappy? (actually he doesn’t wear nappies but still, he’s hardly the underwear bomber). So then I did another form. Made a small mistake and had to go over a letter to make it bold. Yep, rejected again, with the second photo where Max had a shadow under his neck. Third time lucky? Taking no chances with the photo, I took Max to a photo studio and paid a tenner for all of 3 minutes of the photographers time whilst Max sat for 2 snaps before promptly bursting into uncontrollable sobs. Still, we got the money shot. (Literally. Seriously thinking about setting up a kids passport photo studio). How did he manage to look so different in each photo? I attempted the form today, was so nervous about filling it out correctly that I put Andy’s passport number instead of mine in the box. This is the point the form got the better of me. Oversensitive? Yup, but after countless trips to the post office, finding last-minute countersignatories, hemorrhaging money to pay for photos and a holiday booked in FIVE WEEKS I’d had enough. A new low: crying over a mistaken form. At work. Nice one. So here I sit, surrounded by rejected applications and my final form which I’ve just asked my neighbour to counter-sign and guess what? She made a mistake. I’ll take it to my new BFFs at the post office but I know what’ll happen. I’ll try not to clobber them with my reams of useless forms, get a new one and start the rigmarole again. Only this time we have a 2-day bank holiday to hold things up leaving 5 weeks to get my Son a passport. Otherwise I’ll have to smuggle him across the continent in a (well-ventilated) suitcase. It’ll be an adventure, yes? Now, excuse me, I’m off drown myself in wine, eat my body weight (or the weight of the stack of applications, whichever’s heaviest. I’m guessing the latter at this rate) in chocolate and laugh at my dog trying to catch the fly buzzing round the room. It’s pretty funny. Posted in Holidays and tagged drama, passport. Bookmark the permalink.